PANORAMIC VIEW..BEST OF LOCATION. This 5 bedrooms, 3 bathrooms well maintained 2 level home boasts 2600 sf of tranquil living. Main floor offers 3 good size bedrooms w/ensuite to the master. Large living room w/open floor plan layout tothe kitchen & eating area which opens into your great deck for those private sun bathing & evening gas BBQ's. 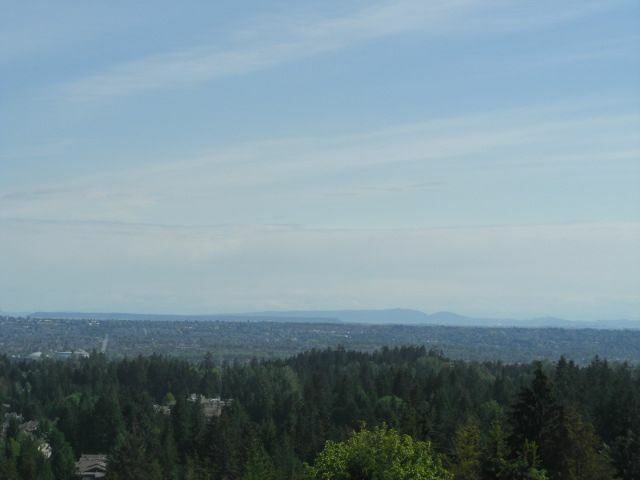 From all of these areas, unobstructed city & inlet & mountain view are there for you to enjoy. Recent updates include S/S appliances, gas stove, granite counter tops, 2" blinds, electrical panel, roof, laminate, fresh paint & great skylights. Separate entry for one or two bedroom suite downstairs. Close to all amenities.